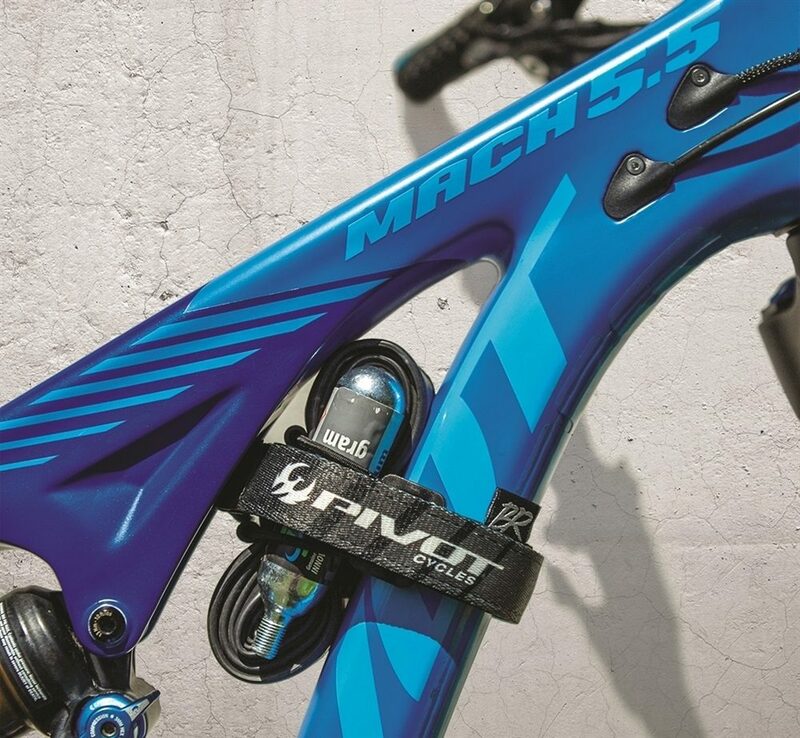 The Pivot Mutherload bike strap is sized to fit a standard 26", 27.5" or 29" tube by itself or with 1-2 16g cartridges, 1-2 20g cartridges, 1-2 25g cartridges, multi-tool, mini pump, levers or whatever combo you want. 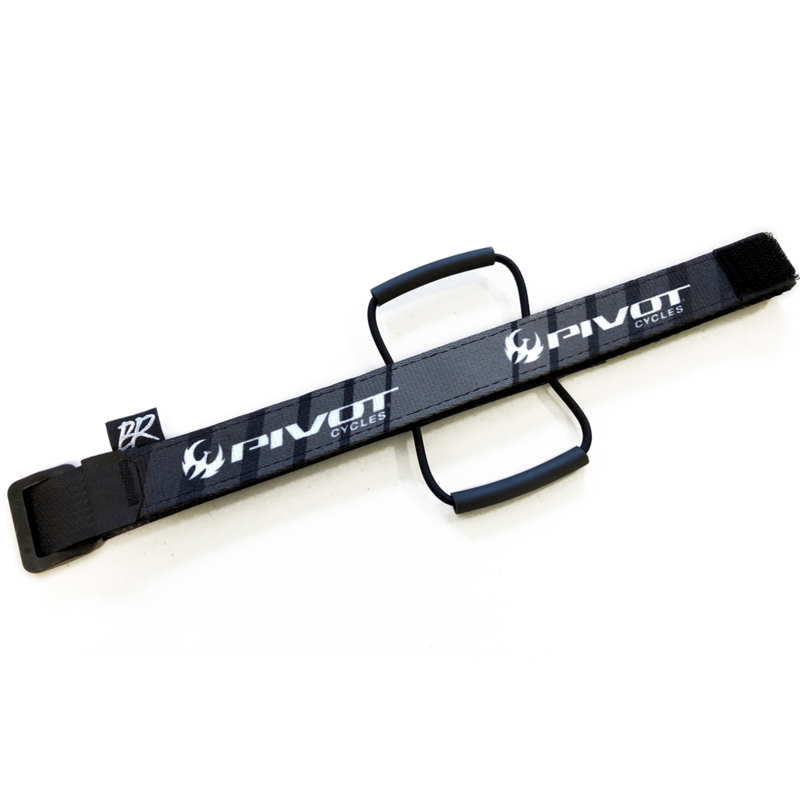 This Pivot bike strap adjusts to accommodate frames as small as 4" in circumference (think steel frame) all the way up to a 9" circumference carbon frame. Sewn with #92 industrial UV and rot resistant bonded polyester thread clean up is easy, hose off or throw in the wash.